I found the ‘OM’ symbol hiding out in this pumpkin this weekend at my parents place. Can you believe that it was there the whole time? All I had to do was carve it out. The same is true with the practice of yoga. It uncovers sheaths. Laying dormant inside all of us, is the connection to your potential. Connecting with your breath, movement, and a meaningful intention can easily bring clarity to each of your moments, thus awakening your life. 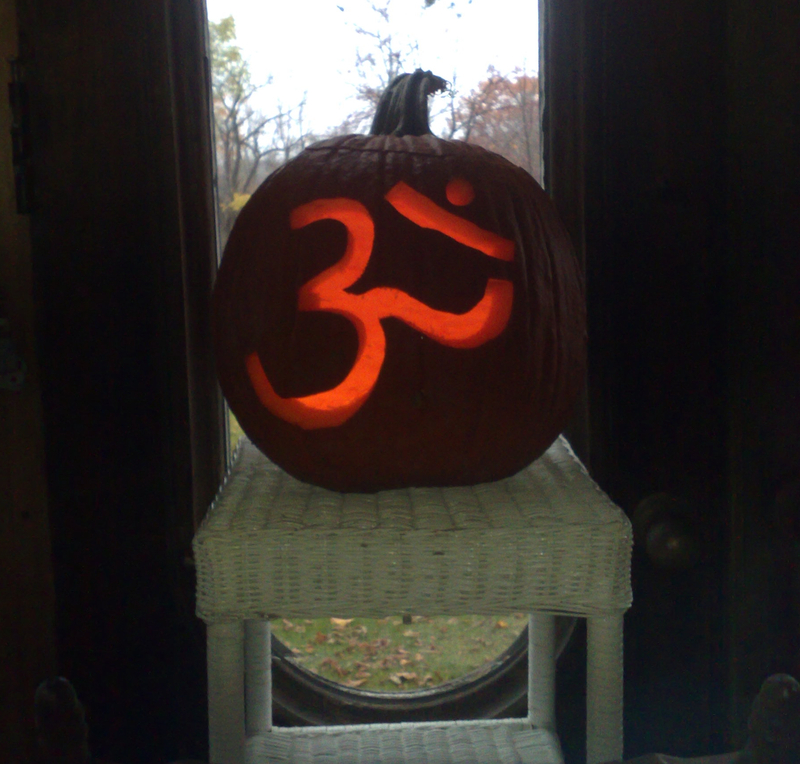 So take a cue from the face of the pumpkin, and carve out your own path by looking inside for your truths.